A world-class cattle operation requires top ranch horses. Whiteface, the name of the Waggoner horse program headquarters, is synonymous with quality and is recognized as one of the world’s most storied ranch and Quarter Horse programs. W.T. Waggoner’s resolve to breed the world’s best ranch horses may have begun in 1869, when, at 16, standing at Doan’s Crossing on the Red River, he contemplated the 50 sore-backed horses his father had provided him and his fellow cowboys to drive some 6,000 wild steers to Kansas. Two foundation sires, Yellow Jacket, a champion racing Quarter Horse, and Yellow Wolf, a young stallion sired by Old Dan Bailey, were renowned for their stamina and toughness. Whiteface managers could barely keep up with the demand for their colts. Other foundation sires included Pretty Boy; Yellow Bear; Blackburn, a son of Yellow Jacket; Rainy Day; and King Ranch-bred Pep Up. While Blackburn horses were legendary for their toughness, cow horses out of Pep Up, especially those foaled by Pretty Boy mares, were favored for their natural cow sense. In July 1945, E. Paul Waggoner, W.T. Waggoner’s younger son, noticed a colt named Poco Bueno at the Texas Cowboy Reunion Quarter Horse show in Stamford. The following October, newly purchased Poco Bueno headed for the Waggoner’s Three Ds Stock Farm in Arlington, Texas. 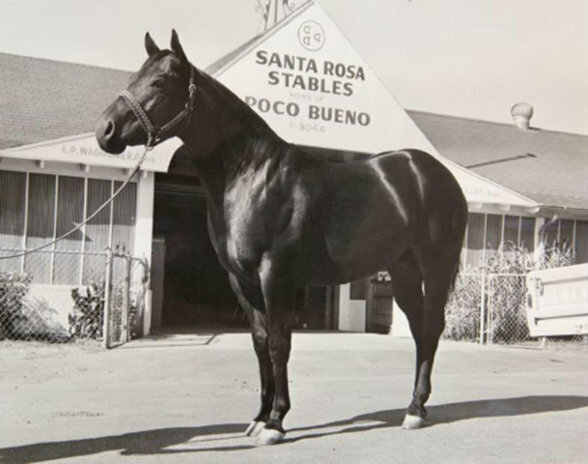 In 1947, Poco Bueno won the Grand Champion Stallion Award at Denver’s National Western Stock Show. Then he won the American Livestock Show in Kansas City. And the Southwestern Exposition and Fat Stock Show in Fort Worth. And the State Fair of Texas. A distinguished career as a performance cutting horse followed. In 1953, he was named an AQHA Champion. 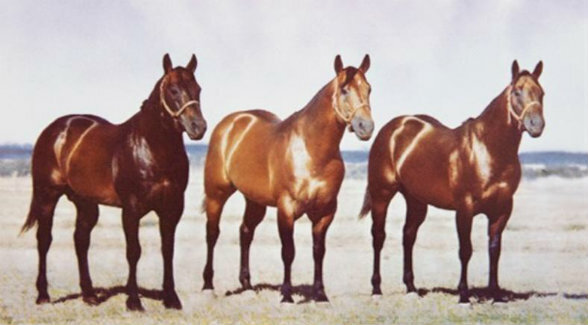 Pokey, as he was known on the Waggoner, passed his talent and his good looks along to his progeny, including AQHA champions Poco Champ, Poco Doll, and Poco Bob. Poco Bueno died in 1969. Per E. Paul Waggoner’s will, the stallion was buried in the standing position near the ranch entrance at Zacaweista. A granite headstone marks his grave. In 1990, the great sire was inducted into the AQHA Hall of Fame. His blood continues to influence the Waggoner breeding program.